Is The Pending Euro Collapse on Target From Our 2011 Forecast of 2016.202? 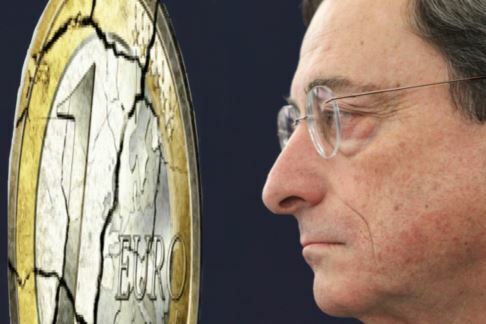 The euro crisis appears to be unfolding right on target rather amazingly. Our target was published in “The Rise and Fall of the Euro” back in 2011. The target for the collapse in confidence was 2016.202. This comes into play March 13/14, 2016. It is rather amazing that we can target a specific event within time, years in advance, and watch these things unfold. This illustrates that TIME remains everything and humanity repeats a process that results in the same response over and over again throughout history. This also demonstrates that our forecasting is not based upon OPINION. With the euro unable to reach 116 of a rebound, this does not look very good in the next few weeks. From a timing perspective, the Bretton Woods System actually began with the operational start of the IMF on March 1, 1947 (1947.164). The euro began officially on January 1, 1999 (1999.002). The birth of the euro essentially completed the 51.6-year cycle between 1947 and 1999. 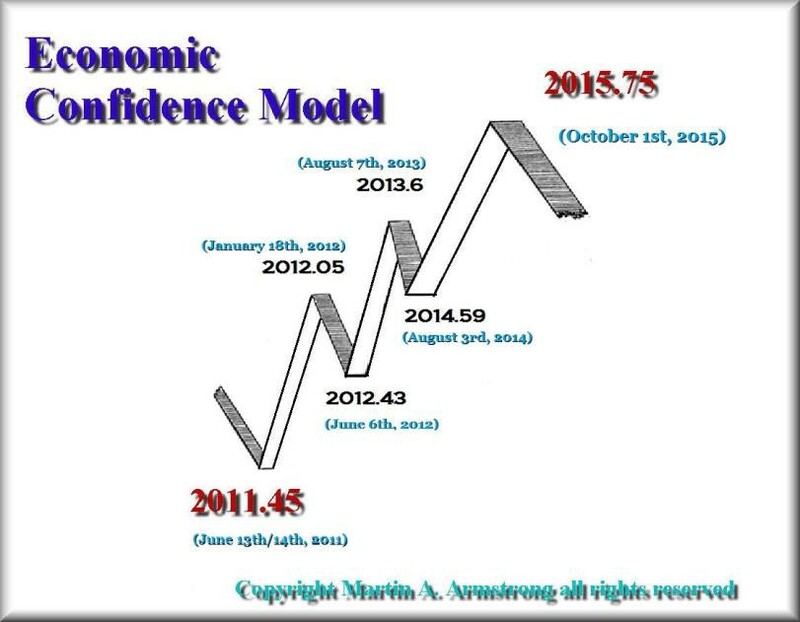 The collapse of the euro appears to be due no later than 17.2 years from its birth, making the ideal target 2016.202, just 23.5 weeks ideally AFTER the peak on this current Economic Confidence Model wave 2015.75.